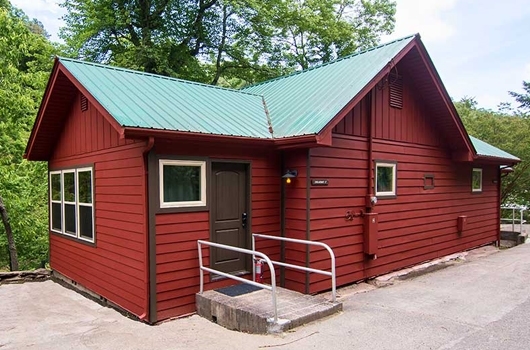 The Chilhowee Cabin was recently renovated and offers two spacious units with a connecting door. 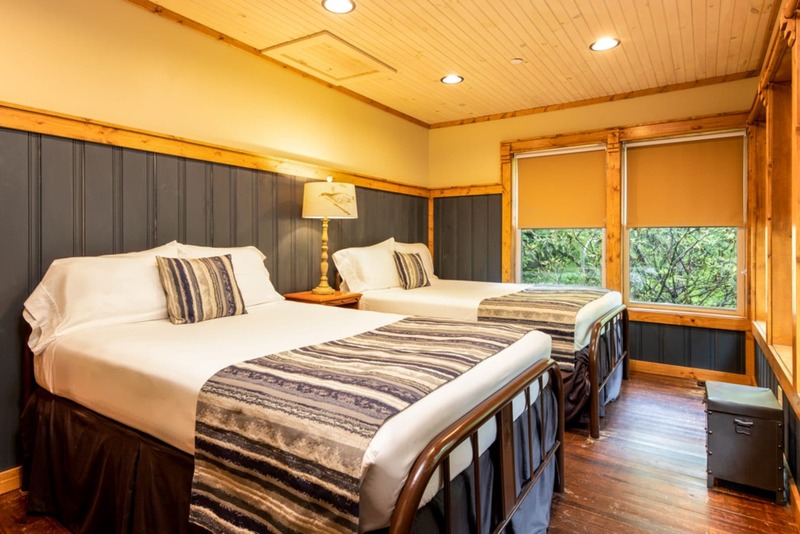 Each cabin room features a private bath, two bedrooms, and a deck with mountain views and hot tub. 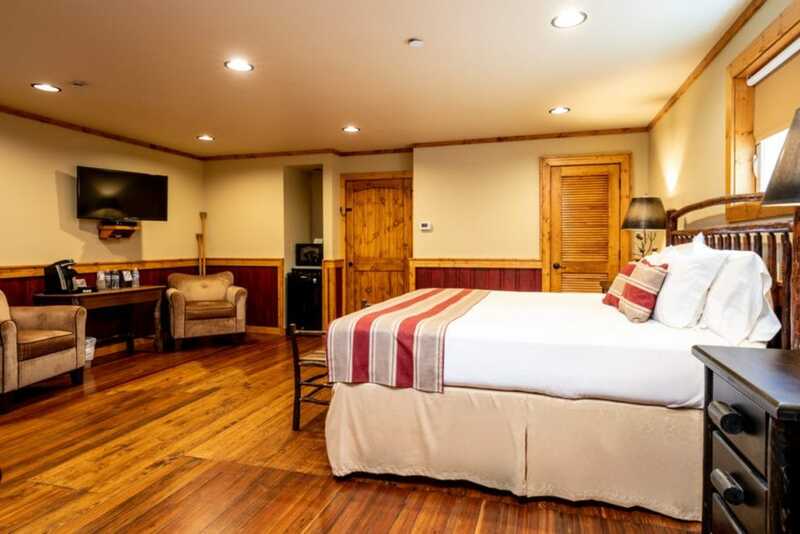 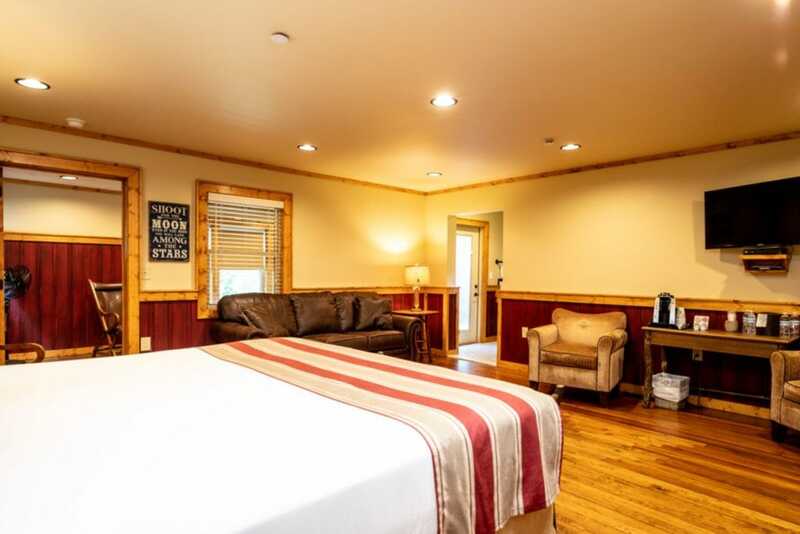 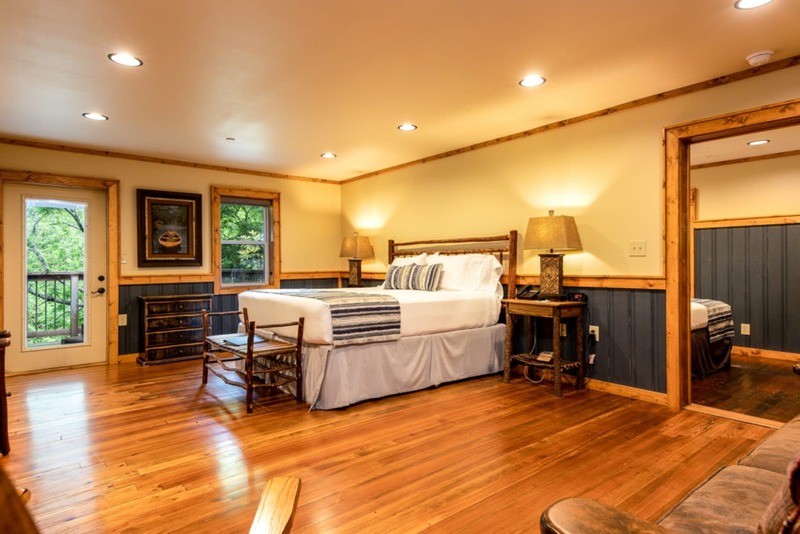 Chilhowee Cabin Room One features a plush king bed and a second bedroom with two double beds. 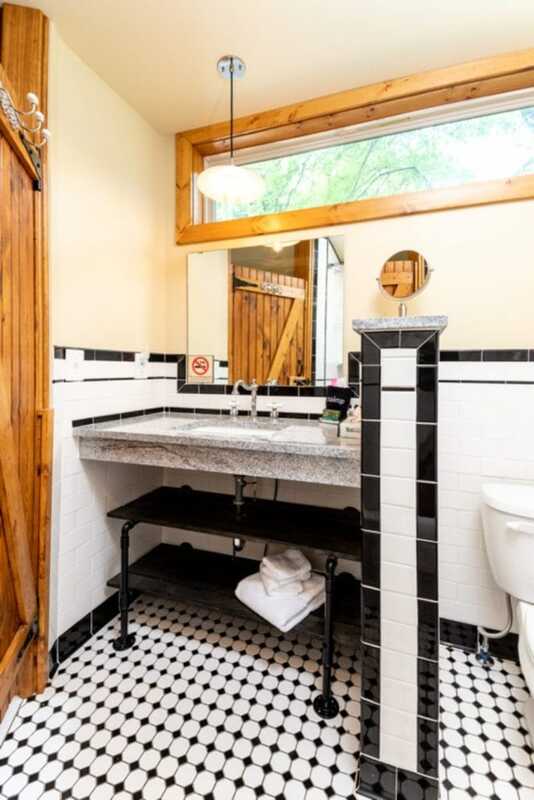 Large private bath. 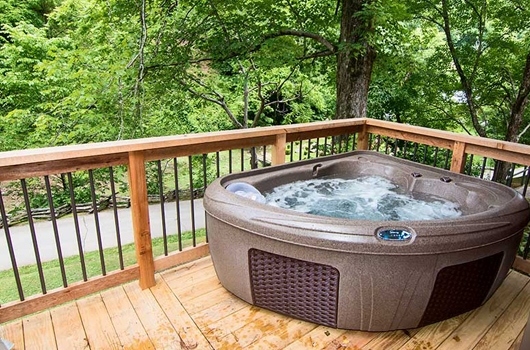 Deck with mountain views and hot tub. Connecting door with Chilhowee Cabin Room Two. 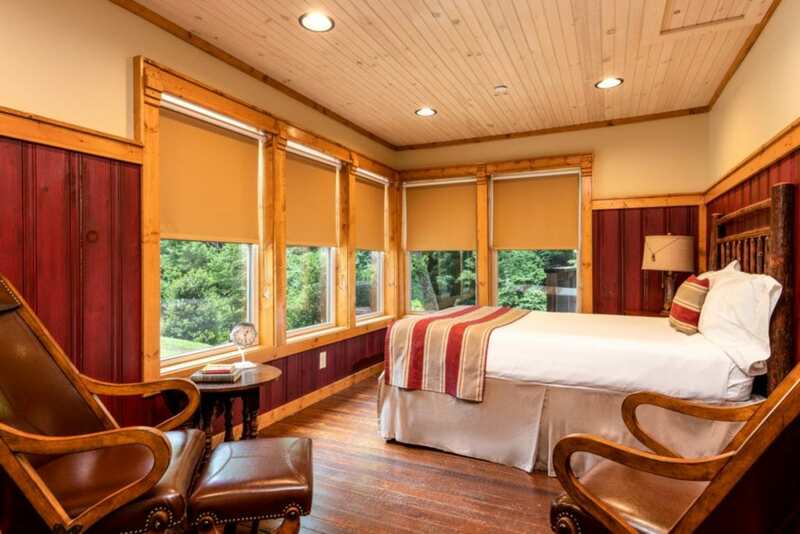 Chilhowee Cabin Room Two features a plush king bed, queen pullout sofa, and a second bedroom with another king bed. 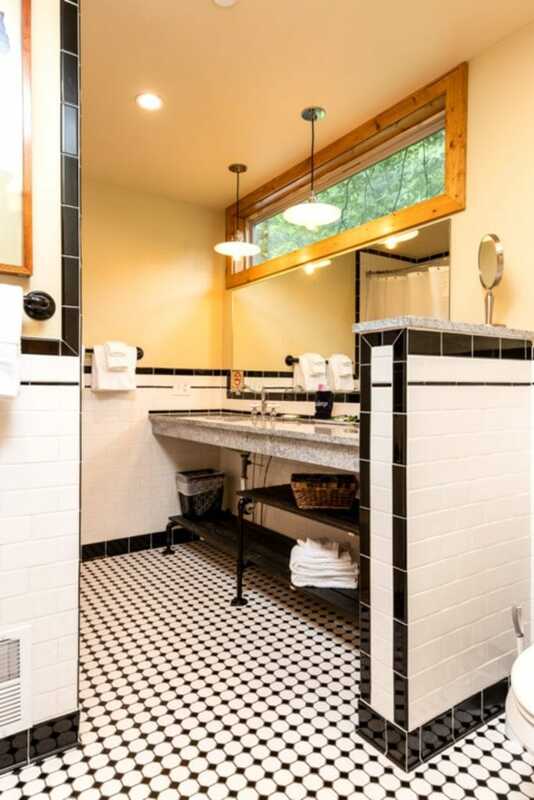 Large private bath. 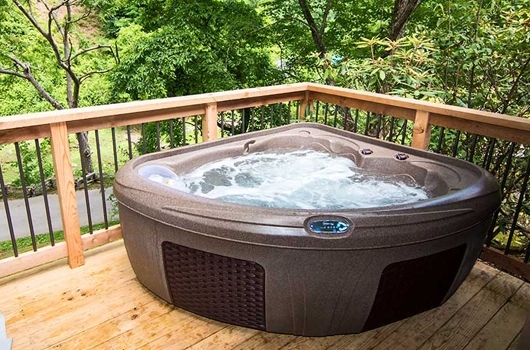 Deck with mountain views and hot tub. 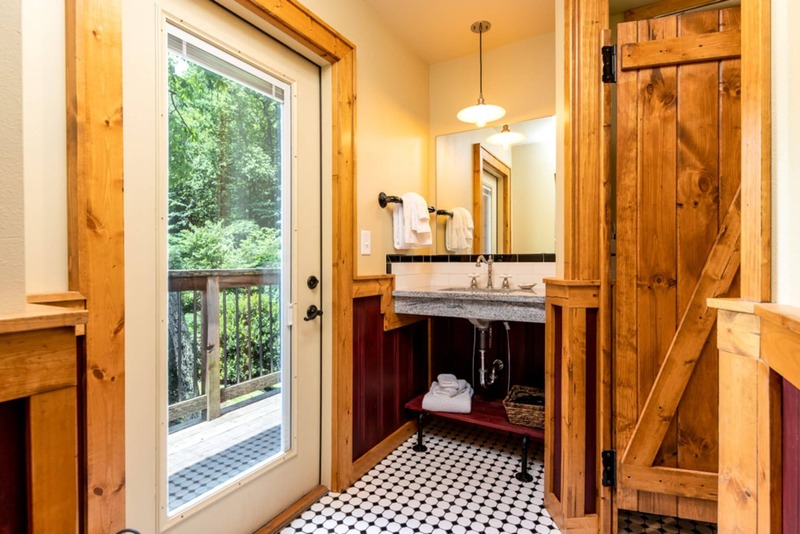 Connecting door with Chilhowee Cabin Room One.